Troga - Translate. Forget. Recall. Repeat. 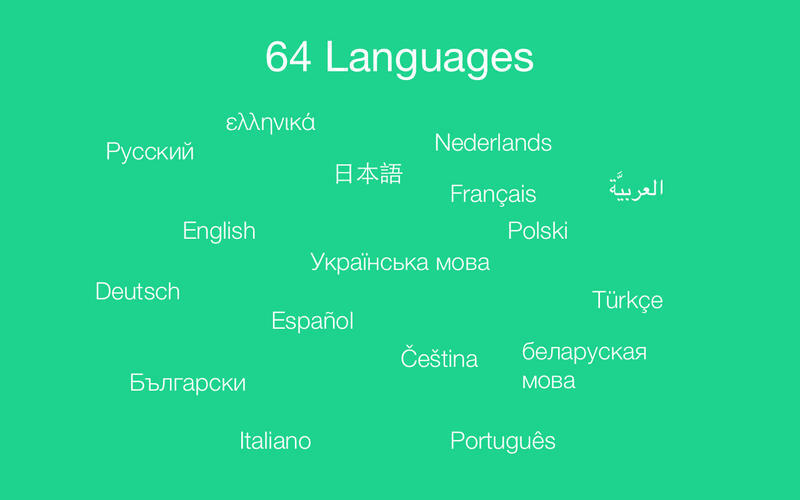 Lightning fast translator that supports 64 different languages. Translate some text or word and Troga will remind you a random translation from your favourite list after some interval. You can add translations to your favourite list. Just press CMD+F to add or remove current translation. Afrikaans, Albanian, Arabic, Azerbaijani, Basque, Bengali, Belarusian, Bulgarian, Catalan, Chinese Simplified, Chinese Traditional, Croatian, Czech, Danish, Dutch, English, Esperanto, Estonian, Filipino, Finnish, French, Galician, Georgian, German, Greek, Gujarati, Haitian Creole, Hebrew, Hindi, Hungarian, Icelandic, Indonesian, Irish, Italian, Japanese, Kannada, Korean, Latin, Latvian, Lithuanian, Macedonian, Malay, Maltese, Norwegian, Persian, Polish, Portuguese, Romanian, Russian, Serbian, Slovak, Slovenian, Spanish, Swahili, Swedish, Tamil, Telugu, Thai, Turkish, Ukrainian, Urdu, Vietnamese, Welsh, Yiddish.